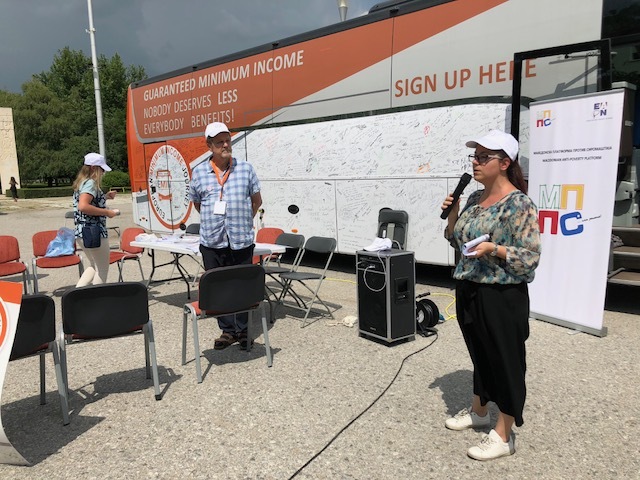 Friday 25th of May is a bank holiday in Macedonia, we parked the bus next to a public park in Strumica, where people enjoyed the sun, the shadow and the EMIN bus. 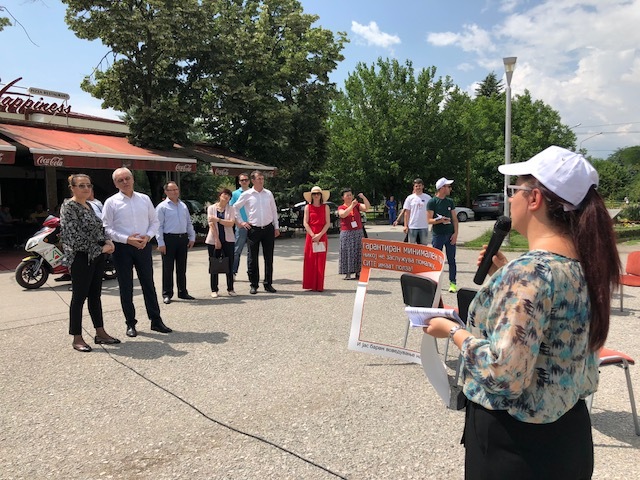 The Mayor of Strumica, several Council Members and the Secretary of State of the Ministry of Labour and Social Policies gave us a very warm welcome. 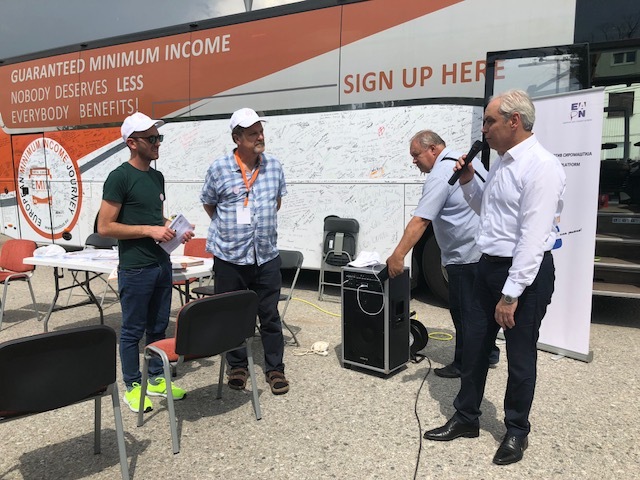 Their messages of support, and the upcoming new law on Minimum Income Schemes in Macedonia were important signs of hope and commitment! 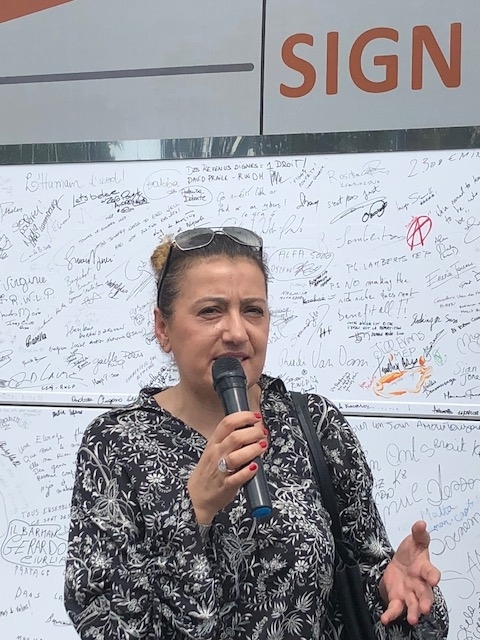 Again, it was interesting how different people, different cultures, react differently to our campaign, our bus, our petition. 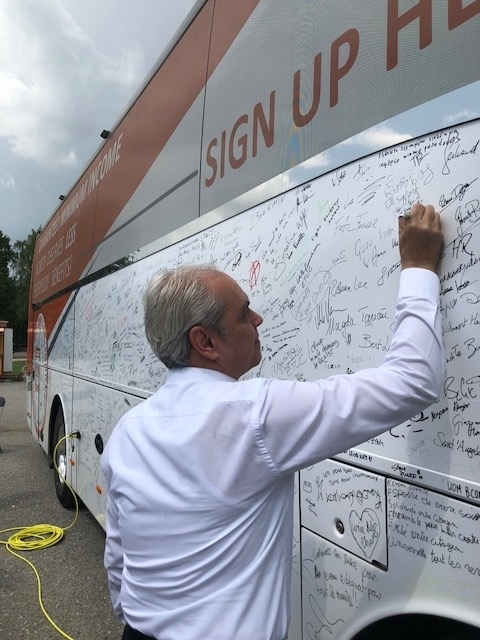 In several other countries, people were a bit distant, suspicious in the beginning, but very open and supportive after we invited them, talked to them… In Macedonia, a lot of people were very curious, coming to us immediately, spontaneously, asking us many questions, and of course were happy as well to sign the bus! 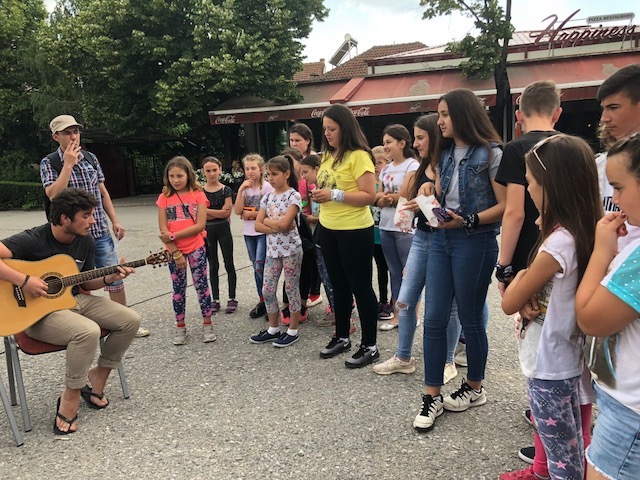 A group of children enjoyed the songs our musician Steve was playing, and kept on asking for their favourite ones!